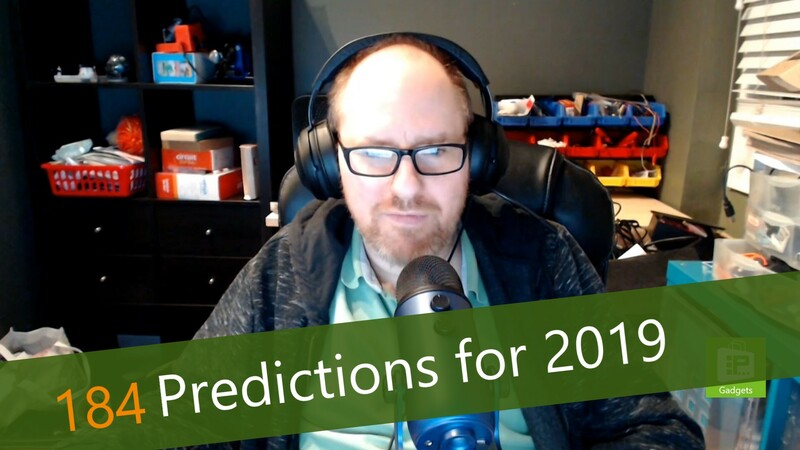 This week, Avram Piltch discusses some of his predictions for what we will see and, more importantly, what we won't see in 2019. Avram expects to see the price of SSD drop seeing around 10 cents per gigabyte, meaning that you will be able to purchase a 1 terabyte drive for around $100. This should start a trend in laptops replacing their built-in drives to SSD, even on less expensive machines. He also expects a little disappointment in 5G - he expects that it will not go anywhere in 2019. Instead, it will be a lot of hype and very little delivery. Some cities will see spotty coverage start to show up, but nowhere is going to have a real rollout.